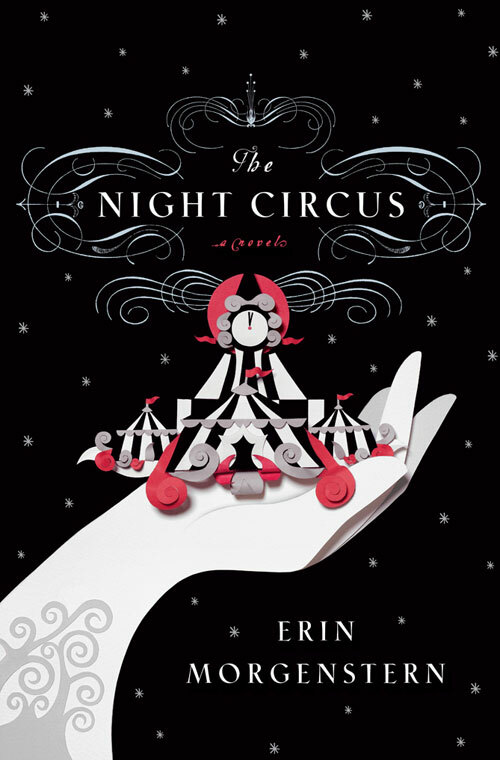 Thanks to my favorite book-clubbing partner (who is also my alpha-reader for All The Writing, great and small), I finally read The Night Circus, by Erin Morgenstern, the powerhouse novel that took bookstores and readers by storm in 2011. I couldn’t walk into a bookshop without seeing this novel for sale in 2011, and most of 2012. Consequently, this was an it book I resisted for a long time. And there is so much to love in this book, it’s obvious to me now why The Night Circus became such a bestselling juggernaut. Just looking at some of the artwork this book has inspired makes me get sentimental and swoony, and I want to read the first half of the novel all over again. 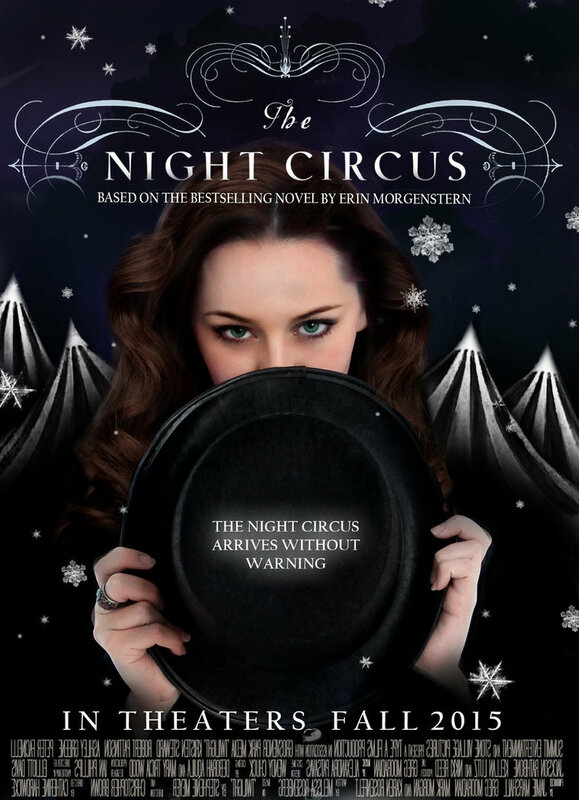 The film rights were optioned before the book was even published, and anyone who has read this novel knows how badassly beautiful The Night Circus film will be. So in sharing my book review for this novel, please understand that I feel like I failed as a reader in not being able to give The Night Circus a full five stars. 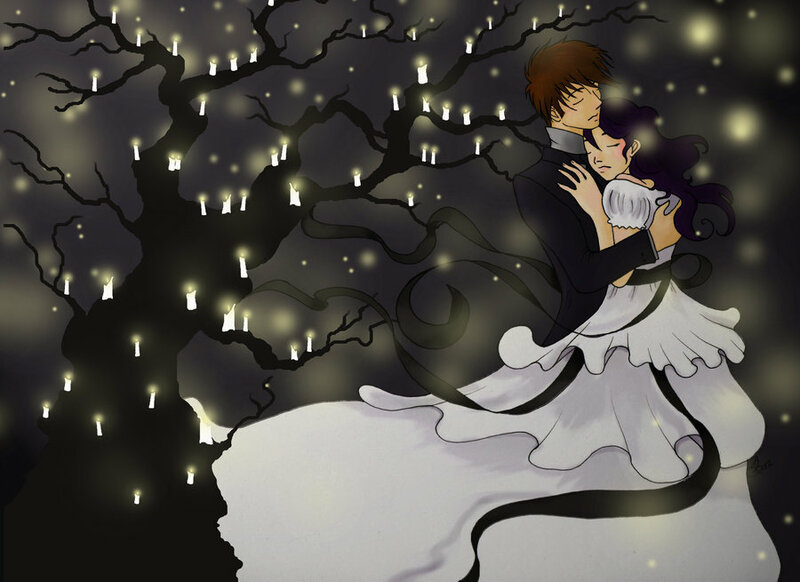 It feels like my problem was that I couldn’t get out of my own way, and just be swept along in a fairy tale. Because my brain kept saying I was reading a novel, not a fairy tale, and that they should be different. (My brain really annoys me sometimes.) That said, I definitely want to see this movie!! (Whenever the movie is made!) The fan-art film posters alone make me get spazzy and insanely happy!! A movie that’s all about magic and love? YES PLEASE. Be ready for a future post when the movie lands a cast and crew. In the meantime, here is my review of the novel. The Night Circus begins with a beautiful premise. It’s 1873. A magician named Prospero walks backstage and discovers he has a five-year-old daughter. The child’s mother is dead. Prospero didn’t love the dead woman, and when he lays eyes on his daughter, he doesn’t love her, either. But he realizes he can use her. Train her as a tool. When she’s grown, she can compete as his proxy in a tournament with another magician in a fight to the death. Though the reader later discovers this fight is actually “a fight till exhaustion” and doesn’t involve any kind of physical combat at all—it’s clear that the stakes are high for this girl. Her name is Celia. Prospero is a real piece of work. His friend and fellow magician is a man named Alexander. When Prospero proposes to Alexander that they play a new game (or start a new magical tournament), with Celia fighting as Prospero’s proxy, Alexander agrees. He goes to an orphanage and selects a young boy named Marco to be his own proxy, a boy who has never known his parents at all. Alexander gives Marco magic books, sets him up in a private apartment, and tells him to get busy, he has a lot to learn before he grows up, and the tournament begins. 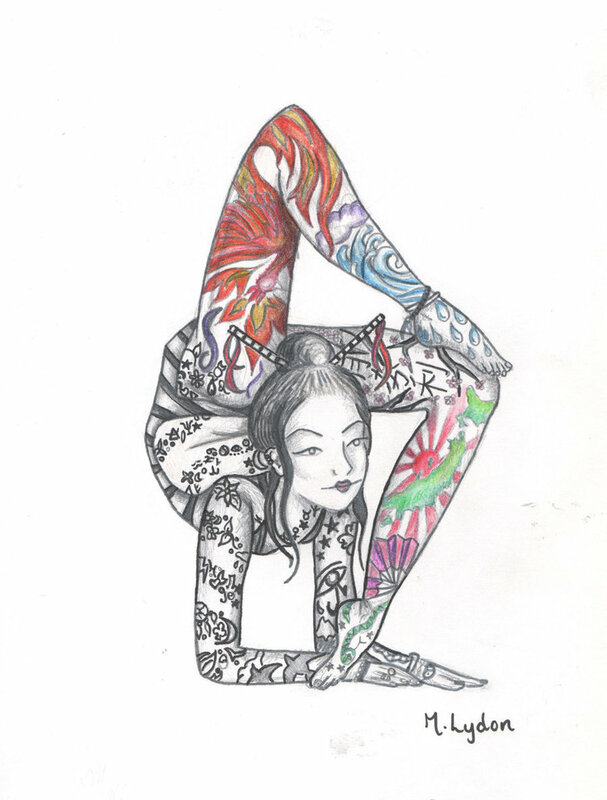 After Marco and Celia are grown, they discover the venue for their tournament will be a circus, a beautifully crafted circus that both of them will enchant, enhance, and infuse with their wonderful magic. That was how The Night Circus began, and what a gorgeous beginning it was. I read the first half of this book compulsively, because it was obvious at the outset that Marco and Celia were destined to fall in love in the tale, despite being proxies in a tournament that will require one of them to die, and I was excited to see what would happen to them. However, by the time I was halfway through the novel, I realized the book wasn’t the story of Marco and Celia. It is the story of the magical circus. The circus is the main character of the novel, and all of the wonderful “people” characters exist to tell the tale of the tournament’s venue. So I started to feel really cheated, because the plot of the book starts falling apart halfway through, with plot holes and inconsistencies that grow and grow to extremely high levels in the final third of the book, by which point I was skipping large chunks of text and skimming for dialogue, just looking forward to being done. 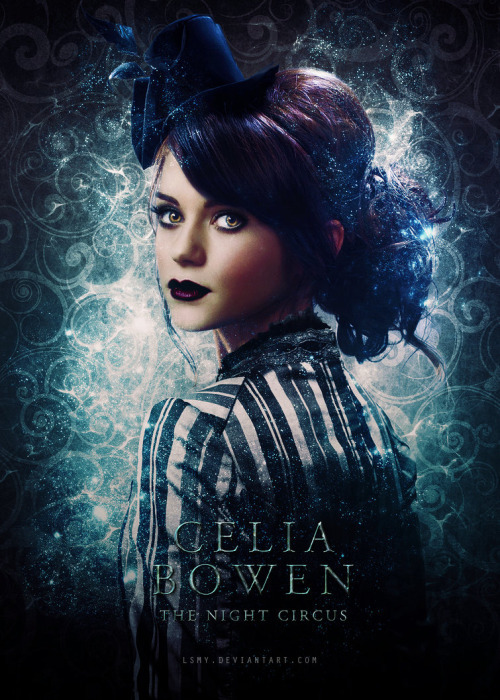 It didn’t help that long sections of the story were narrated through the eyes of secondary characters, a situation that became increasingly troublesome to me by the final third of the book, because I never grew as attached to the secondary characters as I did to Celia and Marco. I really didn’t like that my emotional focus in this novel was meant to be wholly tied to the circus itself, because, while I liked the circus, the setting wasn’t why I was reading the book. I also wasn’t reading this story because I was invested in the secondary characters. I was reading for Celia and Marco. The menace and cruelty inflicted upon Celia and Marco, which made the beginning *so* exciting and wonderful to read, was completely dropped once the tournament actually began, and with the introduction of so many secondary characters — including a pair of young twins who perform with kittens, and introduce the reader to more and more adorable and whimsical parts of the circus — things instead became extremely cutesie. The second half of the book didn’t work for me, though I admit the story works fine as a fairy tale. In fairy tales, motives and back-stories need no explanation, the plot doesn’t need to make sense, and things happen because they happen, with no reason required. But what works in a fairy tale doesn’t work for me in a novel. I wanted the villains to have a point, or at least face a consequence or two. I wanted to have an explanation for why two powerful men would spend multiple lifetimes doing nothing more than challenging each other by proxy. I wanted to know why Prospero, a man so lacking in ethics that he would sacrifice his daughter in a pointless game, would need to peddle his powers as a magician on stage, rather than just taking money from people by force, or at least using his magic to get money without troubling himself doing shows. While much was made in the beginning about Celia learning to heal herself, this plot point had no bearing upon the story at all. Celia’s suffering during the tournament is never physical. She suffers grief, and she suffers a vague kind of ‘magician’s fatigue’ in using her magic sustaining the circus, which leads her to make strange and bizarre choices in the second half of the book that made no sense to me. I was sad that she never heals herself during the tournament, because the set-up for this plot point was wonderful. In one strange scene, the financial backer and initiator of the circus, a wealthy man named Chandresh, suffers some kind of delusional attack in which he believes he must murder Alexander. At the circus one night, Chandresh hurls a knife at Alexander, who sees the knife coming and steps aside, and then watches the knife plunge into the chest of the man standing beside him, Herr Thiessen. Herr Thiessen is a close friend of Celia’s, and Alexander was talking to him when Chandresh threw the knife. Herr Thiessen falls and dies, and there are a few other tense events that occur simultaneously (a bonfire sputters out extra smoke and some people cough, and a kitten takes a tumble, cries out, and needs extra petting to be soothed), but other than that, life goes on at the circus that evening without further drama, despite Herr Thiessen’s sudden and tragic death. Chandresh isn’t arrested, Alexander isn’t questioned, and no one wonders why a man suddenly died with a knife through his heart. I wanted to know why Alexander, a powerful magician who can manipulate objects at will, did not stop the knife. That seemed as evil as everything else he did in the story. But even though people die in this book, and Prospero and Alexander do dastardly things, in the end, no one is bad. The villains (Prospero, Alexander, and the accidental-murderer, Chandresh) are the three people who created the magical circus, so the reader is meant to understand they are all good guys in the end, even though they did so many diabolical things. The author kept steering the story away from the harshness of reality, into a vague and happy world where kittens jump through hoops, there’s never a shortage of caramel popcorn, and people are all good at heart, even when they are scorned, used, and betrayed. No one lashes out in this story, no one is enraged or vindictive, no one seeks justice for wrongs committed for fun. If you crave stories with magical settings, interesting characters, hazy (or nonexistent) plots, and happy endings, this story will give you intense satisfaction. I thought the first half of this novel was a 5-star read, but the second half was so nonsensical and unenjoyable to me, I would have stopped reading. But I was book-clubbing this novel with my wonderful friend, so I finished the story by skipping all of Bailey’s stand-alone sections, and all of the remaining stand-alone circus descriptions, and skimmed other secondary character sections for dialogue. So I did technically finish this novel, and overall, because the beginning was so lovely, I give the book 3 stars. But by the second half of the novel, because the author spent so much time with a pair of cutesie twins and their kittens, rather than dealing with her plot holes, I found myself feeling aggravated every time those oh-so-cute-and-adorable twins and their kittens appeared on the page. 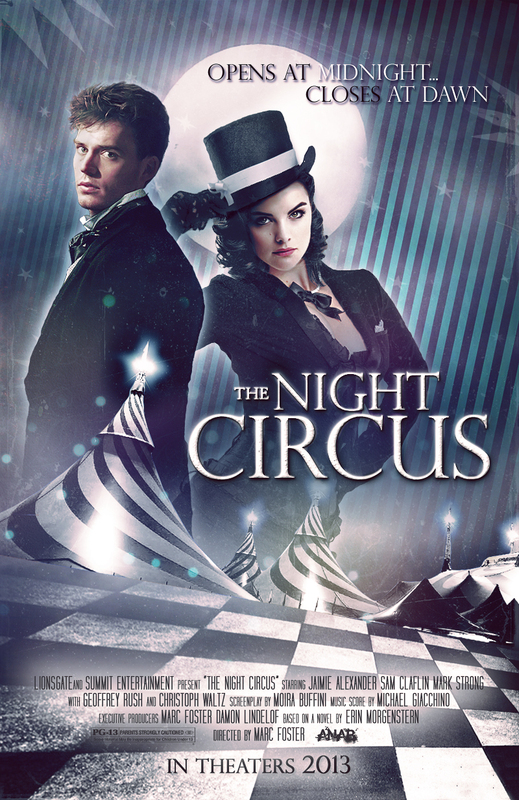 I really wanted to love The Night Circus, because the first half of the book was so enchanting, and Prospero and Alexander were so perfectly diabolical. But the author just didn’t follow through for me. She set up a plot that didn’t feel executed at all. But the author did find a way for the circus to live on forever, and delivered a big happy ending for every reader whose heart was tied to the circus (which is also a happy event for the human characters in the story). So this novel delivered a fairy tale thousands and thousands of readers fell in love with, and I wanted to be one of them, but I failed. Because my brain is a real jerk sometimes, and wouldn’t let go of the plot holes. I just *love* the artwork people have made for this book!! *swoon* This movie is going to be gorgeous.